Drainage Fitting, made of PVC, will glue to std sch 40, sch 80 or DWV pvc pipe. 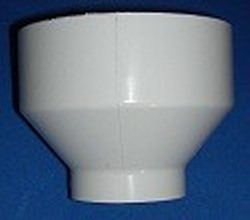 4" slip socket by 2" slip socket. Thin wall non pressure drainage fitting.